June Steenkamp is launching her book "Reeva - A Mother's Story" in Port Elizabeth this week. June Steenkamp is launching her book "Reeva - A Mother's Story" in Port Elizabeth this week, the SABC reported on Thursday. In an interview with the broadcaster, Steenkamp said she was not concerned about the outcome of the appeal process undertaken by paralympian Oscar Pistorius, as it would not bring her daughter Reeva back nor bring the family closure. "It is never going to happen. One is a fool if you think you can get over this. We will never get over this, we will never get closure. What is closure?" she said. "Only if she could walk through the door would I have closure, if a miracle could happen and she could come back into our lives. We are devastated, my husband and I. She was everything to us." The launch of her book takes place in the same week Pistorius's lawyers filed papers opposing the State's application to appeal against his culpable homicide conviction and sentence. Pistorius was jailed for five years for the culpable homicide killing of his girlfriend, law graduate and model Reeva Steenkamp. He shot her dead through the locked toilet door at his Pretoria home on February 14 last year. 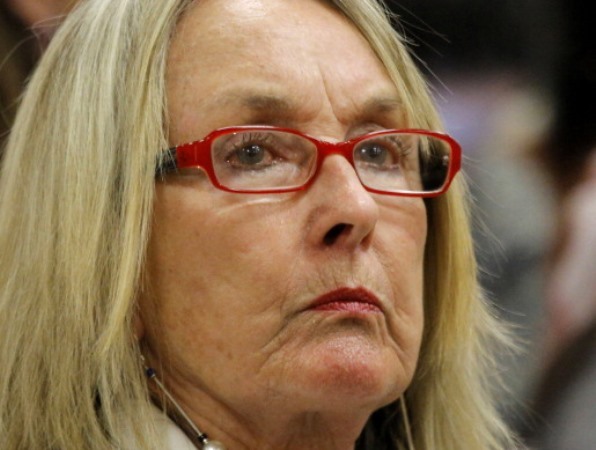 June Steenkamp said she planned to use the money earned from international media interviews to set up a trust to open a shelter for abused women in the name of her daughter. "When we have raised enough money to build the shelter, and have some funds, I would like to help the people who are going through the same thing," Steenkamp said. "They may also not have money like we when it happened to us. I got such love and help from everybody, so it is time to pay forward, and it will make me feel good."